In order to realize an optimal trade-off between investment and maintenance of tunnel projects, LCCA should be applied. The main problematic issue is the water infiltration through the tunnel, which is described in detail in this paper. LCCA has several applications, including help in selecting the best alternative to meet a project objective. Lifecycle cost analysis is a dynamic process. The feasibility study on selecting a tunnel or bridges goes beyond costs and LCCA e.g. the geological conditions, duration of construction, environmental impact, technology availability, constructability and ecological and even political consideration dominates the decision. Global Transportation (Highway and Railroad) Industry Problems: (American Society of Civil Engineers and Eno Center for Transportation 2014) Being part of railroad and highway organization as employee and consultant for more than a decade within the professional and education capacity, the primary author has seen the vulnerability of the industry which compelled to select this topic for research. When making funding decisions of railroad tunnel or any similar projects under constrained budgets, it is tempting (human nature) to emphasize on the up-front costs and pay less importance to the future costs. This has created immense problems particularly in transportation industry. Most of the highway and railroad bridges and tunnels are not designed using LCCA. The U.S. or the Global transportation industry is continuously using these overaged infrastructures including railroad/highway tunnels. It is intended to draw attention to the U.S. or the Global transportation industry for applying LCCA to address these problems. It is very important to understand the design, construction and maintenance issues of railroad tunnels (including other purpose tunnels like highway tunnel) in order to properly implement LCCA. In this paper, emphasis in given on the implementation of LCCA particularly for railroad tunnel projects with justifications. Numerous tunnels in the United States are more than 50 to 100 years old and are showing signs of considerable deterioration, e.g. water infiltration and other structural defects. When making funding decisions of tunnel projects under constrained budgets, it is tempting to place a higher importance on up-front costs and pay insignificant attention to future costs. Tunnel Life Cycle Cost Analysis (TLCCA) is a data-driven tool that provides a detailed account of project costs over its expected life. The various topics covered are purpose of this presentation e.g. global transportation (highway and railroad) industry problems; choice of highway & railroad tunnels vs. bridges; infrastructure life: underground vs. above-ground; history of U.S. highway & railroad tunnels; commonly used highway & railroad tunnel terminology / what is a tunnel highway & railroad tunnel; design basis and specifications of highway & railroad tunnel project; choice of the highway & railroad tunnel system; rehabilitation of highway & railroad tunnel structure elements; highway and railroad tunnel water infiltration rate; consequences of water infiltration in highway and railroad tunnel; highway and railroad tunnel leak remediation methods; highway & railroad tunnel liner types; basic types of highway & railroad tunnel construction in common use; cut and cover: bottom up & top down methods; need, applications & features of life cycle cost analysis (LCCA). 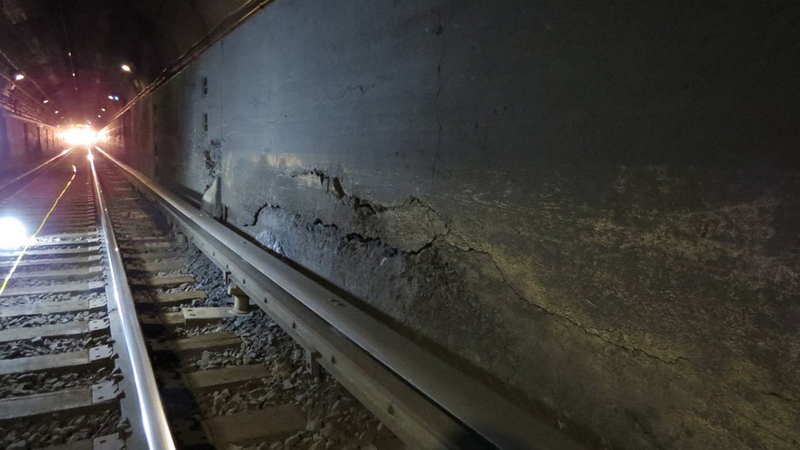 The structural degradation of tunnel takes place in due course of time. Water infiltration is the most common cause of deterioration. Water infiltration is detrimental to the life of a tunnel. The three alternatives for remediation of a water infiltration problem are: Short term repairs, long term repairs or, as a last resort, reconstruct all or portions of the tunnel lining that is causing the problem using methods of waterproofing that incorporate newer technologies. Need of LCCA is required when making project funding decisions. The various transportation companies saved hundreds of millions of dollars by not investing in a project that was not worth the full cost using LCCA. Life cycle cost analysis is a dynamic process. Some ongoing tunnel projects are not as successful as they initially appeared in the planning stage because only design and construction costs were included without taking into consideration the long-term costs associated with maintenance, operation, etc. The various topics covered are life-cycle cost model; various costs of LCCA; life cycle cost methodology; present worth & annualized method; discounting factors formula; maximizing the infrastructure investment values using LCCA; limitations of LCCA and future work for up-gradation of highway & railroad tunnel technology. One of the model of LCC can be expressed as LCC (life cycle cost) = IC + OP + FC; where IC = initial cost, OP = operating cost, and FC = failure cost. This model refers to the failure cost as these costs incurred when the system is not in its normal state of performance. Also, the risk and vulnerability of a system can be included in this model. There are two method of LCCA i.e. present worth & annualized method. The present worth method attempts to bring all of the present and future costs of a given option to present day values. The annualized method is used to transform present and future costs into a uniform annual expense. LCCA has its limitations because of advancement of technology, the current knowledge may not be applicable toward the end of the tunnel life-cycle period. In spite of these limitations, TLCCA, using data based on innovative research on existing and new tunnel projects, enables decision makers (planners, designers, maintainers) to select the most appropriate tunnel improvement alternatives. With the increasing pace of changes in the technology and the current economic down turn, organizations around the world are focused more on cost-effective and value-added technology/research in the field of advancement of tunnel technology. A broad level of research with adequate funding could be initiated down the road to develop new techniques in design, construction and maintenance of tunnels by using LCCA and other techniques (including risk analysis and operation research principles). In the feasibility study on selecting a tunnel or a bridges, there are other factors than LCCA are geological conditions, duration of construction, environmental impact, technology availability, constructability, ecological and political consideration. The other Key Factors Influencing Tunneling are potential for adverse tunneling conditions, faulting, fault displacement, rupture zone length, flowing/squeezing soils, boulders, groundwater conditions and hazardous materials. A tunnel is normally costlier for water courses than a bridge. A tunnel may be preferred due to navigational issues than bridges for water courses. A tunnel requires less approach area on both ends compared to bridges. This factor becomes critical when tunnel or bridge options is to be decided in expensive real estate areas like New York City, Chicago and San Francisco. A tunnel is preferred over a bridge for different reasons as it is normally feared that bridges can be easily destroyed by enemies than a tunnel. A tunnel is also preferred over a bridge due to other reasons such as: tides, weather, load carrying capacity and aesthetics. A bridge is preferred over a tunnel for reasons like fires and specific problems like leak which reduces the useful life of the tunnel significantly. Underground structures last a significantly longer life time than above-ground structures. Approximately about 50 years for above-ground, over 100 years for tunnels. Many old infrastructures are still in useful service today e.g. Over 100-year-old RR tunnel under Seattle. Longer service life means that the present value of a tunnel, including or excluding other benefits, is probably more than an elevated structure, which has a shorter lifespan – even though the initial capital cost of the elevated is less than the tunnel. Long-term benefits for underground projects are, in many cases, greater than those for above-ground projects and tunnels often last twice as long as surface alternatives. These and other benefits mean that the underground alternative can return more benefits if long-term benefits and costs are considered using the concept of LCCA. It is important to know the history of the U.S. or Global Railroad Tunnels in order to explore their problems and possible solutions. Early railroad tunnels like Staple Bend were difficult and laborious requiring thousands of man-hours to be built and often resulted in the loss of life of few workers due to the improper safety regulations and the inefficient technology in 1800s. The TNT used as blasting material at the time was unstable which lead to many fatal accidents. There are famous railroad tunnels in the U.S. which include the Moffat Tunnel in Colorado, Cascade and Snoqualmie Tunnel in Washington and Sand Patch Tunnel in Pennsylvania. Railroad tunnel constructed in the United States was the Staple Bend Tunnel, located near Johnstown, Pennsylvania. It was built by the Allegheny Portage Railroad in 1831 and completed in 1834 but was no longer in service by the 1850s and was listed as a National Historic Landmark in 1994. It is necessary to familiarize with various commonly used tunnel terminologies. The various terms associated are Adit, Anchors/Rock Anchors, Backfill, Bulkhead, Catch basin, Concrete segmental lining, Controlled blasting ,Conveyor, Core drilling, Cut and cover tunnel, Cutter head Dewatering, Duct, Drill and blast, Easement, Formwork, Grade, Groundwater, Guide walls, Jersey barrier, Jet grout, Mined excavation, Maintenance and Protection of Traffic (MPT) Plan, Pile, Ponding, Receptor site, Rebar, Right-of-way, Rock bolt, Secant pile wall, Sidewalk shed, Shoring, Shotcrete, Slurry, Slurry wall, TBM (Tunnel Boring Machine), Staging area, Test pit Tiebacks, Trench, Tunnel lining, Underpinning, Vault, Ventilation, Water table, Waterproof membrane. The Highway Tunnels are mainly of four shapes – circular, rectangular, horseshoe, and oval/egg. The different shapes typically relate to the method of construction and the ground conditions in which they were constructed. Although many tunnels will appear rectangular from inside, due to horizontal roadways and ceiling slabs, the outside shape of the tunnel defines its type. Some tunnels may be constructed using combinations of these types due to different soil conditions along the length of the tunnel. The examples are circular highway tunnel with two traffic lanes and one safety walk and double box highway tunnel with two traffic lanes and one safety walk in each box. The Railroad Tunnels shape often varies along a given rail line. These shapes typically change at the transition between the station structure and the typical tunnel cross section. The change in shape may also occur between stations due to variations in ground conditions. The various examples are Railroad Tunnel with a single track and one safety walk; Railroad Double box tunnel with a single track and one safety walk in each box; Single box tunnel with a single track and one safety walk; Horseshoe tunnel with a single track and one safety walk; Oval tunnel with a single track and one safety walk etc. The various design basis and specifications of tunnel project are the specified superstructure characteristics; the railway operations plan, in conjunction with the maintenance plan; the basic safety specifications, the track topology; the design speed; the kinematic envelope and other service criteria. The basic considerations and criteria in the choice of the RR tunnel system are the railway operations plan, in conjunction with the maintenance plan; the safety analysis and the state-of-the-art in safety technology; the length of tunnel and the travel time of train in tunnel; the ground conditions; the longitudinal gradient and the construction concept; the climate and the ventilation; the environment and economic aspects. The structural degradation of tunnel takes place in due course of time. Water infiltration is the most common cause of deterioration. There can be other structural defects in the tunnel also due to substandard design or construction, or the result of unforeseen or changing geologic conditions in the ground that supports the tunnel. This problem is aggravated due to the fact that most of the tunnels are under service beyond their designed life expectancy and therefore the construction materials themselves are degrading. This is a global problem that transportation industry is facing and it is required to derive a solution for this problem. It should be noted that in the 1960s some tunnel owners began to develop maximum allowable rates of water infiltration to be used as a guide to determine original design and subsequent repairs if the amount of infiltration increases. One such owner was the Bay Area Rapid Transit (BART) system in California; they set a limit of 0.8 liters/minute per 75 linear meters (0.2 gpm per 250 linear feet) of tunnel. This translates to 3 liters/minute per 300 linear meters (0.8 gpm per 1000 linear feet) of tunnel. Other tunnel owners have adopted these criteria while still others may use a limit of 3.8 liters/ minute per 300 linear meters (1 gpm per 1000 linear feet) of tunnel. These limits are for reference purposes only, with the main emphasis for determining repair needs placed on the location of the leak and the condition of the tunnel components that are affected. Water infiltration is detrimental to the life of a tunnel. The negative results can vary from minor surface corrosion of tunnel appurtenances to major deterioration of the structure and thus decreased load carrying capacity of the tunnel. The following are different types/forms of tunnel degradation or safety risks associated with water infiltration. Concrete liners cement, aggregates are eroded causing the structure to be weakened. Reinforcement steel with poor or inadequate cover corrodes and causes delamination and spalling of the concrete cover. Bolts connecting segmental linings can corrode and fail. Masonry units and mortar can be very susceptible to water deterioration and can swell or become brittle depending on chemicals in water. Steel segmental liners or steel plates can experience section loss if exposed to both moisture and air. Fine soil particles can be carried through cracks with the water, creating voids behind the liner, which can cause settlement of surrounding structures and/or cause eccentric loading on tunnel that can lead to unforeseen stresses. These fine particles can also clog drains in or behind the lining. Water may freeze on roadway and safety walks or form icicles from the tunnel crown, all of which endanger tunnel users. Frozen drains can cause ground water to find or create a new location to enter the tunnel, which may be undesirable. Road salts carried by vehicles into highway tunnels, along with the presence of infiltrated water, can increase deterioration of the structure, especially the invert. Rate of corrosion for tunnel components of rail transit tunnels can be increased by the presence of stray current from electrified traction power systems. In general, there are three options that a tunnel owner must consider for remediation of a water infiltration problem. The three alternatives are: Short term repairs, long term repairs or, as a last resort, reconstruct all or portions of the tunnel lining that is causing the problem using methods of waterproofing that incorporate newer technologies. It should be noted that the alternative classifications are given for descriptive purposes and that overlaps between them do exist. The various Leak remediation products are DeNeef SLV Flex Pure Grout and DeNeef Superflex AR Grout etc. To determine the most cost-efficient method of repair for a particular situation, a specific cost analysis should be performed that considers the costs over the life of the tunnel. The various classification of tunnel liner types is unlined rock, rock reinforcement systems, shotcrete, ribbed systems, segmental linings, placed concrete and slurry walls. This classification is based on factors like geographical features, funding etc. The basic types of tunnel construction in common use are cut and cover, shield driven, bored, drill and blast, immersed tube, sequential excavation and jacked tunnel. The normal shape of tunnels is circular, horseshoe and rectangular using above mentioned construction techniques. In a cut and cover tunnel, the structure is built inside an excavation and covered over with backfill material when construction of the structure is complete. Cut and cover construction is used when the tunnel profile is shallow and the excavation from the surface is economical, and acceptable. Cut and cover construction is used for underpasses, the approach sections to mined tunnels and for tunnels in flat terrain or locations where the tunnel is constructed at a shallow depth. In the conventional “bottom-up” construction, a trench is excavated from the surface within which the tunnel is constructed and then the trench is backfilled and the surface restored afterward. The trench can be formed using open cut or with vertical faces using an excavation support system. In this type of construction, the tunnel is completed before surface reinstatement. With top-down construction, the tunnel walls are constructed first, usually using slurry or secant pile walls. In this method, the support of excavation is often the final structural tunnel walls. Secondary finishing walls are provided upon completion of the construction. After that the roof is constructed and tied into the support of excavation walls. The surface is reinstated before the completion of the construction. Need of LCCA is required while making project funding decisions. When making funding decisions under constrained budgets, it is tempting for decision-makers and elected officials to think in the short-term. In an effort to construct projects within limited capital budgets, high importance is placed on the up-front costs, with little attention to costs in the future. In order to improve our long-term decision-making, planners and policy-makers in the United States need to begin thinking more strategically about how we maintain and operate our transportation network and manage its assets. The various applications of LCCA are to select the best alternative to meet a project objective, such as replacing a Tunnel/bridge, evaluating a design requirement within a specified project, such as pavement types, comparing overall costs between different types of projects to help prioritize limited funding in an agency-wide program; and calculating the most cost-effective approaches to project Implementation. The various transportation companies saved hundreds of millions of dollars by not investing in a project that was not worth the full cost using LCCA. Given the continued shortage of sufficient funding for transportation, it is essential for transportation agencies to target available funds toward tunnel projects with the greatest economic benefits and the lowest long-term costs to maximize benefits within our limited funding capacity. LCCA has been proven to create short-term as well as long-term savings for transportation industry by helping decision-makers identify the most beneficial and cost effective alternative projects. Life cycle cost analysis (LCCA) is a data-driven tool that provides a detailed account of the total costs of a project over its expected life. A poor choice among various alternatives of Railroad Project today can create unaffordable cost in later life of project which is unacceptable in current economic situation. A tunnel project cost is estimated only for initial costs (e.g. design and construction costs), ignoring the long-term costs associated with maintenance, operation, and the retiring of the tunnel project can often lead to shortsighted decisions. The various costs associated with LCCA are Initial costs (this includes design and construction costs, price of equipment, etc. ); Operating/energy costs (this includes annualized amount required to operate); Maintenance costs (this includes annualized costs to maintain equipment or repair defects); Rehabilitation costs (this includes future expense for known procedure at specified time); User costs (this includes costs associated with impact on the functioning of tunnel e.g. tunnel may need shut down for repair etc.) and Salvage value (this includes sale value of equipment at end of expected life). To properly plan for future repairs or scheduled maintenance in a tunnel, it is beneficial to perform a LCCA of the different options involved for each anticipated major repair to ensure the greatest cost efficiency over the life of the tunnel. This process involves evaluating the alternatives over a given duration or economic life to determine specific costs involved for each option and then equating them through discounting factors formulae (National Council of Examiners for Engineering and Surveying 2015) that enable the costs of each option to be compared at a common point in time. The LCCA process is performed by summing up the discounted monetary equivalency of all benefits and costs that are expected to be incurred in each option. The investment option that yield the maximum gains to the society is considered the optimal option. In order to conduct LCCA in a reliable and trustworthy manner, a thorough understanding of the theoretical engineering and economics background must be acquired. The Present Worth Method attempts to bring all of the present and the future costs of a given option to present day values. This process should be completed for each major repair/rehabilitation and subsequently the options could be compared. Determining the present worth of a future expense is done by taking into account inflation of the dollar and therefore discounting the amount by a predetermined rate over the period between the future expense and the present time. The present worth of the future expense is also the amount that could be invested today with reinvested interest over the duration to equal the amount of the future expense. The Annualized Method is used to transform present and future costs into a uniform annual expense. This annual expense can be compared to the annual expenses of the other repair/rehabilitation alternatives to determine which one is most cost effective. Converting all the future expenses into a present value as before and then using the equation below to convert that value into an annual expense will provide a uniform annual cost. LCCA has been proven to create both short-term and long-term savings for transportation agencies and infrastructure owners by helping decision-makers identify the most beneficial and cost-effective projects and alternatives. 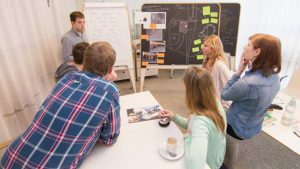 When the cost of a project is estimated only for design and construction, the long-term costs associated with maintenance, operation, and the retiring of a project are often overlooked. Similarly, comparing project design alternatives by their initial costs can often lead to shortsighted decisions. 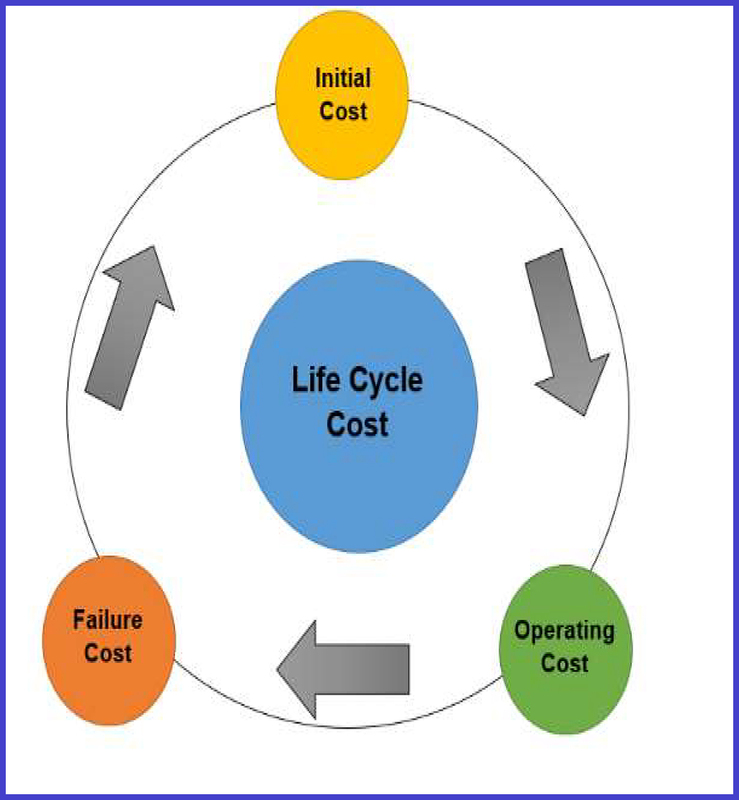 Lifecycle cost analysis is a dynamic process. LCCA has its limitations because the analysis relies on accurately predicting future costs and is subject to substantial estimating risk that can dramatically alter the outcome. The proper selection of time frame for LCCA is significant as setting different time horizons can have a dramatic effect on the analysis outcome. The lack of transparency and full knowledge LCCA create challenges associated with LCCA calculations. Although LCCA has been in use in transportation industry since decades, it is unpredictable to include appropriate cost items like delay costs, train operating costs, fuel costs, and quality-related costs. It is difficult to anticipate fuel costs, deterioration rates, expected life, salvage value, changes in traffic patterns, and environmental effects. Due to advancement of technology, the current knowledge may not be applicable toward the end of the life-cycle period. With the increasing pace of changes in the technology and the current economic down turn, organizations around the world are focused more on cost-effective and value-added technology/research in the field of advancement of tunnel technology. Life cycles are estimated using relevant deterioration models based on data collected over many inspection cycles. The cost-effective strategies consider the costs of various competing alternatives over a specific duration or time period such as the remaining useful life of a particular tunnel system. A broad level of research with adequate funding could be initiated down the road to develop new techniques in design, construction and maintenance of tunnels by applying LCCA and other techniques (including risk analysis and operation research principles). The authors are continuing their research on this topic to explore additional facts, which will be published in the future when available. My special thanks go to Indira and Prayaga for proofreading this paper and Sachi Srivastava for her blessings in completing this paper. Any opinions, findings and conclusions or recommendations expressed in this material do not reflect the views or policies of MTA-NYCT/BT nor do mention of trade names, commercial product or organizations imply endorsement by MTA-NYCT/BT. MTA-NYCT/BT assumes no liability for the content or the use of the materials contained in this document. The authors make no warranties and/or representation regarding the correctness, accuracy and or reliability of the content and/or other material in the paper. The contents of this file are provided on an “as is” basis and without warranties of any kind, are either expressed or implied. The contents of this report reflect the views of the authors who are responsible for the facts and the accuracy of the data presented herein. This report does not constitute a standard, specification, or regulation. American Society of Civil Engineers and Eno Center for Transportation (2014). Maximizing the Value of Investments Using Life Cycle Cost Analysis. Burns, A. (2018). “Railroad Tunnels.” 2017, from https://www.american-rails.com/railroad-tunnels.html. (2014). “Choice of Tunnels vs. Bridges.” 2017, from https://studopedia.org/2-55390.html. MTA. (2012). “Glossary of Commonly Used Construction Terms.” 2017, from http://web.mta.info/capital/fc_docs/Glossary%20of%20Commonly%20Used%20Construction%20Terms%202%2022%2012.pdf. National Council of Examiners for Engineering and Surveying (2015). Fundamentals of Surveying Handbook. South Carolina. RailSystem. (2015). “Cut and Cover.” 2017, from http://www.railsystem.net/cut-and-cover/. Reilly, J. (2007). 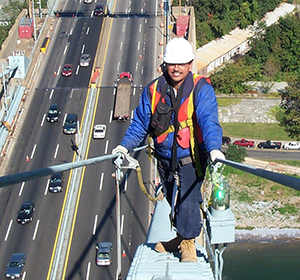 Lifecycle Engineering – Thinking Beyond Construction for Critical Infrastructure. International Tunneling Symposium, Washington. Shaikh, A. (2015). “Study of Tunnels.” 2017, from https://www.slideshare.net/sadil8686/study-of-tunnel-engineering. Swiss Society of Engineers and Architects (2004). Design of Tunnels. Zurich. Transportation Research Board of the National Academies (2003). Bridge Life-Cycle Cost Analysis. Virginia. U.S. Department of Transportation (2005). Highway and Rail Transit Tunnel Inspection Manual. Virginia. U.S. Department of Transportation. (2017). “Bridges and Structures.” 2017, from https://www.fhwa.dot.gov/bridge/inspection/tunnel/. Avanish Prasad is a Licensed Professional Engineer, Land Surveyor with more than 25 years of professional experience in civil engineering & management field since his graduation in engineering. He is a Doctor of Philosophy (candidate) at New York University. His ongoing doctorate degree at NYU major is Construction Management and minors are Structural Engineering & Technology Management. 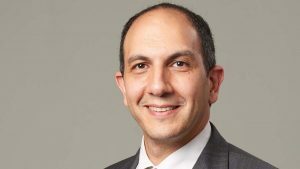 He has double Masters of Science Degrees in Civil Engineering and Engineering Management from New Jersey institute of technology, NJ and BS Degree in Civil Engineering. He has more than 1000 hours of continuous professional education as instructor/participating professional (1990-2017) excluding formal education. He is a (NJ) state certified emergency medical technician (EMT), emergency medical responder (EMR), fire fighter (FF). He is also a certified CPR, AED administer. He is a FELLOW of American Society of Civil Engineers and also an active member of several professional organizations such as: AREMA, PMI, AISC, NYSAPLS, IPWE, IRT and IIBE. His research papers have been accepted and published by several technical magazines including Railway Age and Railway Track & Structures. His technical papers were accepted in AREMA, ASCE & NYSAPLS conference proceedings for presentation and or publication multiple times. He has worked as Paper Reviewer as well as Moderator for multiple ASCE and other technical associations conferences held in USA and abroad. Purnima Prasad is an undergraduate engineering student at NYU’s Tandon School of Engineering, and an active member of professional organizations such as ASCE (American Society of Civil Engineers), AREMA (American Railway Engineering and Maintenance), AIChE (American Institute of Chemical Engineers), SWE (Society of Women Engineers), NYSAPLS (New York State Association of Professional Land Surveyors) and ASQ (American Society for Quality). She has been working as an engineering intern for P&P Consulting Engineers, LLC, based in New Jersey for more than four years. She has also been working with Arco Engineering, PC, located in Lyndhurst, New Jersey for the past two years as an engineering assistant. Her expertise in the engineering field is being recognized by industries such as Railway Age, American Society of Civil Engineers, and New York State Association of Professional Land Surveyors. In April 2017, she co-presented topic of “Railroad Tunnel Life Cost Analysis” at the Railway Age Light Rail Conference. In September 2017, she co-presented topics of “Railroad Tunnel Life Cost Analysis” as paper presentation and “Transition from Conventional Railroad to Hybrid Maglev Technology” as poster presentation at the ASCE Conference at Duluth, MN in Sept, 2017. Moreover, in January 2018, she presented Basic and Advanced Mathematics for Land Surveyors at the annual conference of the New York State Association of Professional Land Surveyors. In addition to these accomplishments, she is a co-author of a paper “Advanced Techniques in Railroad and Highway Engineering: Highway and Railroad Tunnel Life Cycle Cost Analysis (LCAA) in ASCE India Conference 2017. Also, she is a co-author of “Industry Opinion on Railroad Accidents, Causes and Preventive Techniques,” published in the April 2018 edition of Railway Track & Structures magazine.